Beautiful beaches, strong air transportation links, a diverse group of all-inclusive resorts and upscale independent hotels, and proximity to key East Coast markets continues to drive record-breaking tourist arrivals in the Dominican Republic. 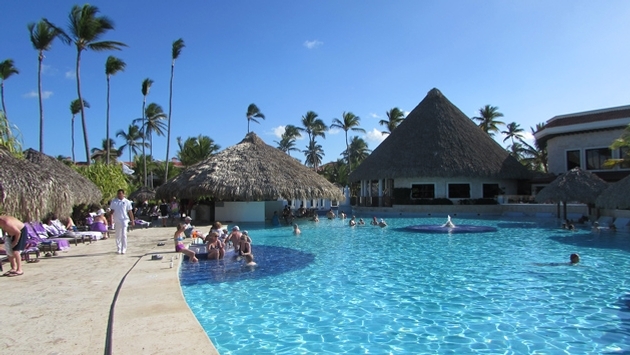 The country welcomed 445,018 non-resident air arrivals in April, a 14.5 percent increase over 2013 and its largest year-over-year increase ever recorded, according to Francisco Javier Garcia, the Dominican tourism minister. The Dominican Republic is already the leading Caribbean vacation destination, according to Caribbean Tourism Organization (CTO) statistics. The country hosted 4.69 million visitors in 2013, nearly two million more than Cuba, the next-most visited Caribbean country. Earlier this week Garcia joined Stephanie Balmir Villedrouin, Haiti’s minister of tourism, to sign a memorandum of understanding in which the two countries that share the island of Hispaniola pledge to strengthen cooperative relations in a variety of areas including tourism. "This new agreement opens the era of technical cooperation in responsible and sustainable tourism, based on equality and mutual benefit," said Villedrouin, quoted in international press reports. While Haiti, with 419,736 tourist arrivals in 2013, attracts a fraction of the travelers visiting the Dominican Republic, the total represents a 20 percent increase over 2013 totals and follows targeted efforts by the Haitian government to establish tourism as an economic engine for the struggling nation.